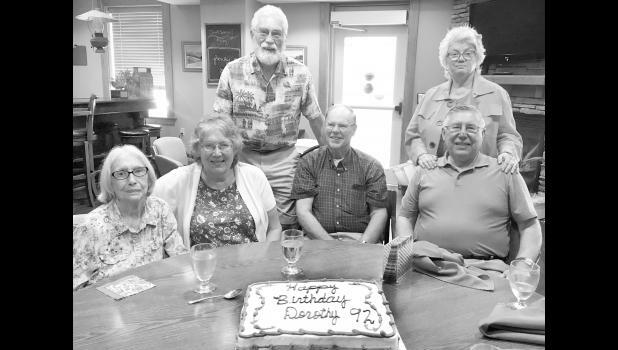 Longtime Holton resident Dorothy Slimmer celebrated her 92nd birthday on July 18. Slimmer celebrated with an early birthday dinner at Meadowlark Hills in Manhattan with family. Those shown in the photo above include (from left) Dorothy; her daughter, Sylvia, her son, Don; her son-in-law, Steve; her son, Dennis; and her daughter-in-law, Kathy. Thanks to all the friends and family who sent cards, made phone calls or thought of Dorothy on her birthday.